The word “narrative” is bandied about today as a catch all for stories, both fictional and in the real world. But what does it really mean? In fact, “narrative” means four distinctly different things that share the same root. The four faces of narrative can be thought of as Creative Writing, Story Development, Story Structure and Narrative Science. These labels describe a spectrum that runs from the passion of self-expression at one side to the logic of self-awareness at the other. Let’s briefly stare into the face of each…. As human beings, we are all driven by the desire to share our passions and understandings with others. We want them to empathize with our feelings and follow our logic: to know who we are and to see the world from our points of view. While these drives are true for any means of communication, creative writing is the process of expressing ourselves through words. What we create might range from a simple emotional juxtaposition of words intended only to represent what is in the heart (the written equivalent of modern art) to a highly structured story with a fully developed argument and a clearly defined point. Regardless of the balance between passion and point, this first face of narrative is the Muse itself. Most written communication does not flow onto the page devoid of consideration. Rather, the words come forth at times, and at other times one gives thought to how the concepts expressed are hanging together and where they might best lead next. 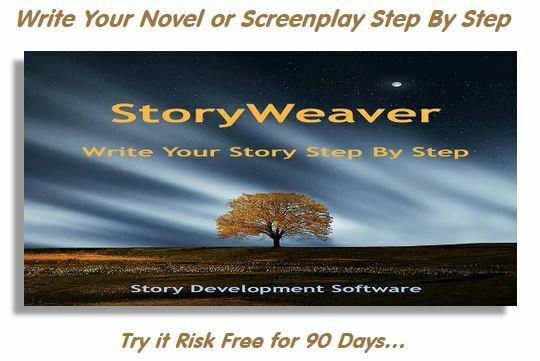 When an author, be it a personal diarist or successful screenwriter, cogitates either in advance of writing, during the process, or after the fact in order to improve the work in another draft, he or she is wearing the face of Story Development. Unless wordplay is random, unless there is no intent involved, then the face of Story Structure rears its head. And the head, not the heart is where it belongs. Story Structure describes the underlying mechanics of a story, the cogs and processes that lead an audience down a path and bring them to embrace (or at least understand) a message about life and the best way to lead it. 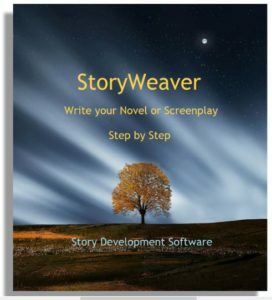 Story structure exists because those cogs and processes provide all the essential techniques and points of view that we, as humans, use in our own minds and in our associations with others to identify problems, refine our understanding of them, and seek to discover the solutions that will resolve them. If we look beyond the conventions of story structure to ask why these same cogs and processes appear repeatedly in narrative after narrative, we discover that story structure is a model of the mind itself. Every character, plot point, thematic issue or genre mood is a facet of our own minds, isolated in nature and made tangible so that we might better understand ourselves. At the most basic level, narrative science allows us to understand human psychology, both of individuals and how when we come together toward a common problem, we self-organize into group minds in which each individual comes to specialize in once aspect of our narrative selves in order to bring the greatest clarity to the group as a whole. In essence, when we gave into the face of narrative science, we stare into a mirror. all you’d see was the back of your head. you’d clearly be nothing but dead. right back into your face. This entry was posted in Creative Writing, Narrative Science, Story Development, Story Psychology, Story Structure. Bookmark the permalink.